The land of Taj, Agra is one of the most popular cities in the world. It is frequented by tourists from each and every corner of the world. After all, it houses one of the seven wonders of the world. Located on the banks of the Yamuna river, Agra is also known for its immensely popular sweet dish, i.e., petha. It is a part of the Golden Tourism Triangle along with Delhi and Jaipur. Did you know that this beautiful city of historical monuments and ancient wonders is the most visited place in the country? Yes, it is frequented by travellers in millions every year. Today, Agra is the only city in North India after Delhi which houses more than 10 five star hotels. Well, that's a feat to accomplish. If you would love to know more about Agra and interesting facts related to its monuments, then you must read this article. Here, we list down the 7 intriguing facts about Agra that you might not know. Whenever someone questions about the history of Agra Fort, we always end up saying it was built by Shah Jahan, a Mughal King, in the early 17th century. But do you know the Agra Fort was actually constructed as a brick fort by the Rajput kings before the Mughal dynasty came into power? Later on, it was controlled by the Lodis until the Mughal King Akbar renovated it by using red sandstone. However, the current building of the fort was shaped by Shah Jahan. You wouldn't believe if we say that the polluted Yamuna river was once called the Blue River on account of its pristine waters. Yes, it was so transparent and clear that one could have clearly seen its river bed with naked eyes. Today, it has become one of the most contaminated and infected rivers in the country. Only if it could retain its original beauty, it would be another wonder of Agra. During the Mughal dynasty, Agra was one of the most popular cities in the world. It served as the capital city of their kingdom in between 1556 and 1648. 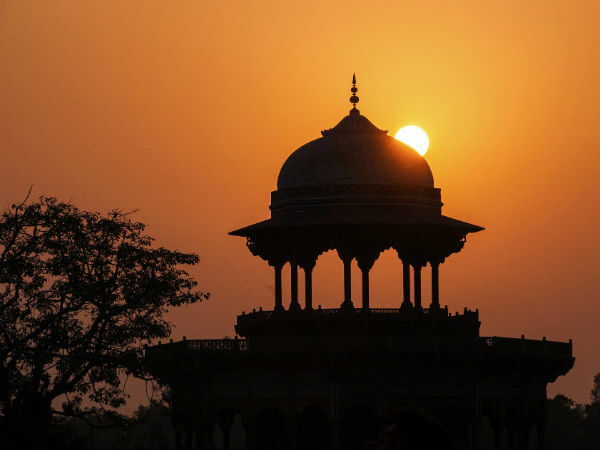 It was during the period of the Mughal kings Akbar and Shah Jahan when it became the most powerful city. Kings from all over the world used to visit Agra and compliment its grandeur. If you have ever been a student of history, then you must have studied that Agra was founded by Sikandar Lodi, who was a king of the Delhi Sultanate, in the early 16th century. But to your surprise, Agra was actually established thousands of years ago, even before the period of the epic Mahabharata when it was called Agraben. The presence of Agraben has been mentioned several times in ancient Hindu texts. Unknown to many, St. John's College at Agra is one of the oldest colleges in the country today. It was established in the year 1850 during the British Era. Today, it is not only popular on account of its historical significance but also because of its architectural beauty. Therefore, it wouldn't be wrong to call it one of the most beautiful colleges in the country. Agra is one of the two cities in India which house three UNESCO World Heritage Sites, the other being Delhi. These UNESCO monuments at Agra include the Red Fort, the Taj Mahal and Fatehpur Sikri, the twin city of Agra which was founded by Akbar. Hence, it is no wonder it forms a part of the Golden Tourism Triangle and is one of the most-visited places. Apart from the Taj Mahal and the sweet dish petha, if there is any other thing which makes Agra top the chart is its footwear industry. Today, Agra is the largest manufacturer of shoes in the country and is the second largest exporter in the world after China. Doesn't that surprise you? So, next time when you are on a trip to this Taj City, do not forget to get yourself a pair of leather shoes.